In collaboration with Gala True and the Veterans Administration, we filmed at a new exhibit of the Photovoice project titled From War to Home: Through a Veterans Lens, which opened at the Philadelphia VA Medical Center on November 13, 2012, and runs through February 2013. 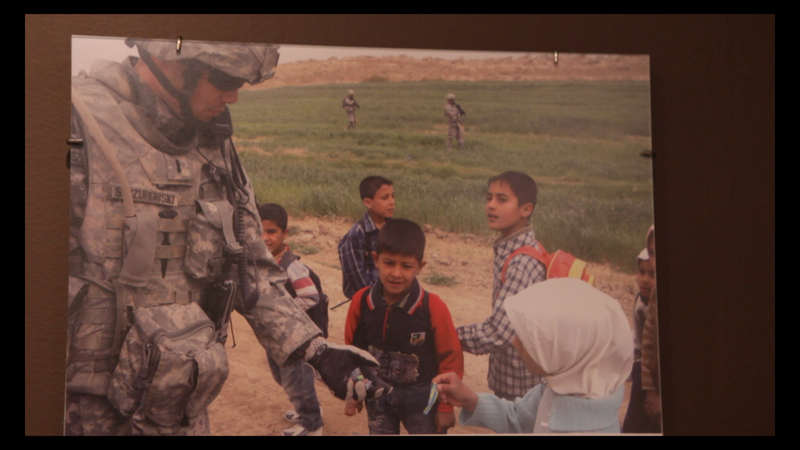 The exhibit features photographs taken by forty veterans of the Iraq and Afghanistan conflicts, which are captioned with quotes from interviews with the veterans themselves, and organized under four thematic sections: deployment, transition, care, resilience. It aims to give voice to veterans who wish to speak about the challenges of combat and coming home, and to raise awareness to improve veteran care. . ask ira . 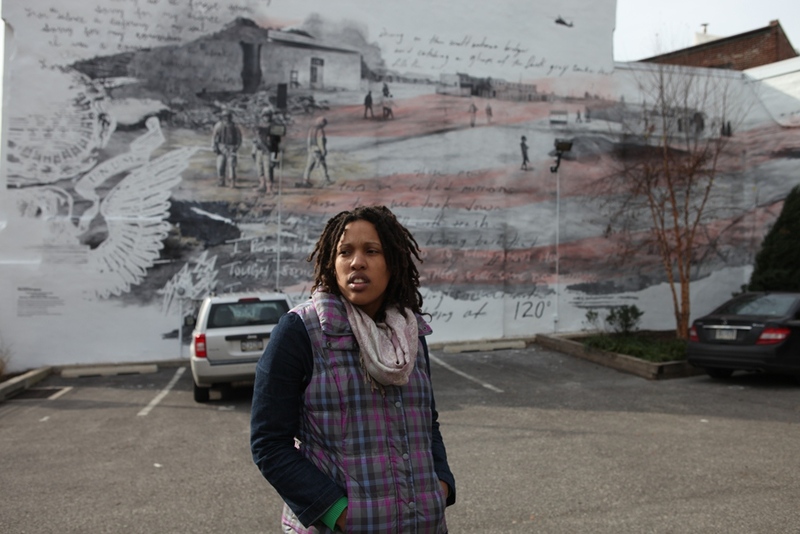 One of the veterans whose work is featured in the exhibit, Chantelle Batemen, was also involved with the Warrior Writers mural project. 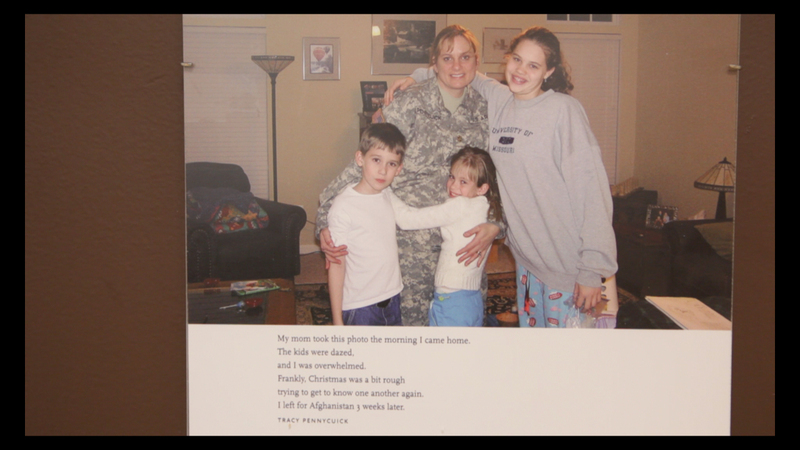 Chantelle deployed to Iraq with the Marines in 2004, and will feature in American Communion telling us about her involvement as a field organizer with Iraq Veterans Against the War, and about the particular experiences of women veterans.